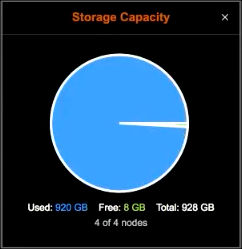 Before downloading a snapshot from a destination to use for a restore, OpsCenter verifies whether each node has sufficient disk space required for the download. The disk space check looks up the partition for the agent tmp_dir and verifies there is sufficient space on that partition. If necessary, change the agent download directory using tmp_dir in address.yaml. Attempting a restore to a location with insufficient disk space fails. 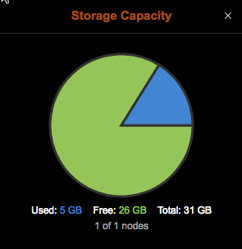 The Restore Report indicates which nodes do not have sufficient space and how much space is necessary on each for a successful restore.